With some new models and some falling out of production, we decided to do a little reshuffling of our chart on the best tube amps. This meant we removed a couple, such as the EVH 5150III and Bugera Trirec, replacing them with the premium combo Line 6 DT25 112, the budget Bugera V5 Infinium, the cool Hughes & Kettner TubeMeister TM36H, the Vox Custom AC15C2, and the modern classic from Marshall, the DSL20HR. At the birth of the electric guitar, tube amps were the only amplification method available to guitarists. As the decades passed and new technology arrived – including solid-state and modeling amps – the tube amp stuck around, and to this day they are still considered the best amps by many guitarists. Why are Tube Amps So Popular? That’s why we’ve highlighted a selection of our favorite tube amp models on the market in the chart below, spanning both affordable and high-end price ranges, combo amps and heads. Then stick around after the chart for a short guide to tube amps and their many benefits. Let’s get stuck in! By far one of the most legendary tube guitar amps ever made. Boutique style and tone from this collaboration combo amp. A powerful choice for any gigging rock guitarist. Small on power, but huge on classic rock tone. Boutique sound delivered in a package that pretty much has it all. Smaller version of the legendary 6505 with that same face melting performance. A powerful amp head capable of lighting up any performance. A budget tube amp with great tone for the price. One in a while we are presented with an amplifier that makes a huge impact on the music industry. 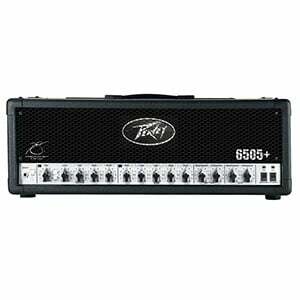 In terms of metal, Peavey's 6505 series heads achieved exactly that. Known for a brutal tone that is both powerful and flexible, it didn't take long for this amp to become the very definition of metal sound. What makes it so special isn't just its unique tone, but the amount of control and versatility you get. The one we're looking at here is among the latest iterations of this epic badge. As such, it brings the same performance we all fell in love with, only better. This head is one of those things that keep you coming back to your guitar. This awesome collaboration between Line 6 and legendary German amp builder Reinhold Bogner is a popular all-tube combo amp that offers a true boutique style with the versatility Line 6 is known for. The highlight of the DT25 112 is the four unique amp models that give this already beautiful sounding tube amp instant versatility, with models including an American clean and modern high gain, while the ability to link to a POD HD multi-effect system offers even greater tonal flexibility. With up to 25 watts of power, it’s certainly suitable for smaller stages, although can also be hooked up to an external cab. It looks great, sounds great and is very adaptable. Awesome! Check out the complete review of the DT25 112. We couldn’t have a list of the best tube amps and not feature a model from Marshall – and the DSL20HR is a popular choice among gigging guitarists looking for an iconic rock sound. This all-tube head shows off legendary Marshall style and performance with no nonsense controls, as well as two footswitchable channels – classic and ultra-gain (each offering two modes) with the footswitch included. There’s great tonal flexibility, from pure organic cleans to face-meltingly high-gain distortion. As we mention in the full review of the Marshall DSL20HR, with 100 watts of power, the DSL20HR is an absolute beast in terms of output and dominates any stage when hooked up to a decent cab. Inspired by the brand’s legendary AC30, Vox’s Custom AC15C2 combo amp is an all-tube affair which is hard to ignore. With the distinctive vintage Vox design, this relatively lightweight amp offers dual 12” Celestion G12M Greenback speakers with a maximum output of 15 watts. While the power is a little low for major performances, the ability to hook it up to an external speaker means you can still gig big with this beautiful amp. And you’d certainly want to with the creamy vintage tube tone on offer, with the organic overdrive and springy reverb the highlight. The simple controls also make it simple to dial in your favorite sounds. 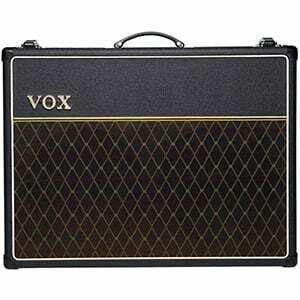 Check out more on the Vox Custom AC15C2 in the full review. Egnater's track record has been full of amplifiers that provide a unique angle on various popular sound profiles. Their Egnater Tweaker is another such amp, but this time we are getting a bit more tamed package. Their aim was to build a classic vintage tube box with plenty of heat where it matters the most. So far, it's fair to say that they achieved that goal. Even though it is a 15 Watt unit, Egnater Tweaker brings a lot of potential both in a studio setting or on stage. The tone, especially the cleans, are something that really stands out. Seeing how hard it is to find a proper vintage tube amplifier these days, Egnater nailed it with this one. Following the success of Peavey ValveKing II series and seeing how smaller tube amps have become the next big thing, it was only a matter of time before a smaller version of this legendary amp hit the market. Peavey ValveKing II is exactly what its name says. It brings the very same sound the entire metal community is crazy about, in a package that costs only a fraction of the price of full sized 6505. 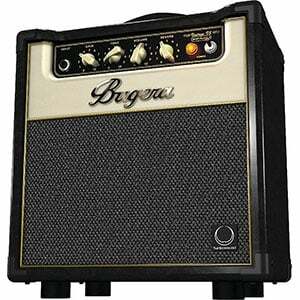 On top of that, this amp is a perfect choice for studio use, recording or home practice. When they announced ValveKing II, no one really expected to get the exact same thing, only smaller. Needless to say, this thing lives up to the hype. The stunning TubeMeister TM36H all-tube amp head from Hughes & Kettner has a distinctive flavor, with plexiglass and blue LEDs providing a high-end boutique design. But it’s more than just a pretty face as this head provides huge responsive tube sounds with three channels, offering warm, fat cleans and high-gain overdrive for heavy rock and metal. It’s a versatile head in terms of EQ controls and power, with a maximum output of 36 watts, changeable to 18W, 5W, 1W or even no speaker at all at the flick of a switch, catering to your performance needs. 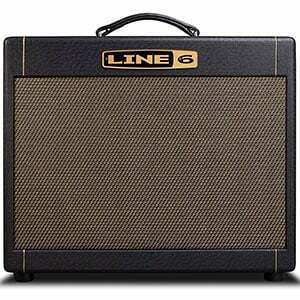 Just hook it up to a decent cab and the TM36H is worthy of any stage. Be sure to check out our full review of this awesome amp head. Don’t think you can find a decent tube amp on a budget? Think again! While this one is a far cry from some of the higher-end models on this list, the V5 Infinium from Bugera is an all-tube amp that comes in at under $200, making it a great call for lower-volume practice and beginners to tube amps. This popular amp features a 12AX7 preamp tube and EL84 power tube, with a single 8” Turbosound speaker offering 5-watts of power. The limited controls don’t make it particularly versatile, but there’s plenty of fluid tone to go around, with a lovely natural overdrive. Check out the full review of the Bugera V5 Infinium for all the details. Hang around with a bunch of guitar enthusiasts and it won’t take long before you hear the word ‘tube’. Because tube amps are seen as the holy grail of amplifiers, delivering the creamy, fluid tones that guitarists crave. But what exactly are they? In a nutshell, a tube amp (also known as a valve amp, especially in the UK) uses vacuum tubes to increase the power of a guitar’s signal to the speaker. Originally this was the only method of boosting the signal, although today we have solid-state amplifiers, which have their own pros and cons. Despite big advancements in solid-state technology, many guitarists still insist on using tube amps. Tube amps have withstood the test of time and are possibly now more popular than ever before for several reasons, although the main draw is their tone. Look up a review of any tube amp and you’ll see the same words crop up: ‘pure’, ‘organic’, ‘creamy’, ‘liquid’. Even though these words can seem a little vague, they all describe the natural and flexible tone on offer with tubes. The cleans sound more pure, responsive and imperfect, which is exactly what many are looking for. Then comes the overdrive, which really puts tube amps a step above their solid-state equivalents. For the uninitiated, true overdrive occurs when you push vacuum tubes outside of their normal operating capacity. Cranking up the power and saturating the tubes forces them to distort the sound. Replicating this overdriven sound with digital technologies is certainly possible and done to great effect, but it’s hard to beat the natural warmth and breakup that a tube amp can provide. Tube amps are also incredibly responsive to a player’s own dynamics and technique. So, if you play as light as a feather or really dig in, the amp will capture your feel much better than a solid-state amp would. As with most things in the world of guitar, tube amps have their good and bad sides, and there are certainly things to consider before diving in. Firstly, tube amps need maintaining. Unlike their solid-state counterparts, which use transistors, vacuum tubes have a natural lifespan while pushing them too hard can damage them beyond repair. However, these tubes are relatively easy to replace, which is something you’ll end up doing every one to three years, depending on how and how often you use the amp. Another consideration has a lot to do with how these amplifiers work. In order to get the best tone, vacuum tubes need to be pushed. The sweet spot tends to be around 50% to 60% power, depending on the exact model and tubes that come with it. The problem is that sometimes pushing to 50% power means you have to deal with extremely high volumes. The only way to properly deal with this is to get an attenuation device (which reduces the power of the signal without distorting the tone). Fortunately, most modern amps have this feature built-in, allowing you to achieve the overdriven tone you want without forcing the neighbors to call the police! One more consideration for gigging guitarists, or those planning to eventually gig, is that lugging around tube amps is usually more difficult than transporting a solid-state amp. This is because a tube amp is both heavier and more fragile, with more chance of damage if you knock or drop the amp. It’s not a deal-breaker but it can be tiring if you are on the road a lot. Shopping for a tube amp can be a bit different than shopping for a modern solid-state amp – it requires a lot of research and is very dependent on your budget. The first thing you want to define is what kind of music you plan on playing. Unlike modern solid-state and modeling options, tube amps are only capable of so much. In other words, you tend to get one sound profile and that’s it (there are exceptions though). Some tube amps will offer awesome sparkly cleans while their overdrive channel is crunchy and vintage in tone, while some don’t even have a dirty channel. Others are the complete opposite where the cleans still have a bit of grit, while the overdrive is face-meltingly fierce. So, a vintage blues player should definitely look for a different style of amp to the model an all-out metalhead would want – and vice-versa. Power is also an important factor. Guitar players who regularly gig in a range of venues will require a high wattage and the ability to hook up to external speakers. On the other hand, if you spend more time practicing at home, with a studio session here and there, a smaller and less powerful option – even a combo – is a better route. One of the cool things about tube amplifiers is that you can mod them in a multitude of ways. While this often requires some technical expertise, it’s another way you can achieve the exact sound signature you are looking for. One of the easiest ways to mod a tube amplifier is to swap the tubes. Vacuum tubes are divided into several classes and are produced by many manufacturers around the world. If you were to take two valves of the same class and power rating from two different brands, chances are they wouldn’t sound the same, which is great for tonal versatility. The only issue here is that swapping out tubes can get very expensive, very quickly. An average amp has tubes at both the power stage and the preamp stage so, depending on which model you have, you might need to swap more than 5 to 10 tubes. This only scrapes the surface of how you can mod a tube amp. If it’s something that interest you, there’s a huge amount of modding instructions and resources online, offering you a great insight. Undoubtedly, tube amps are the still one of the best tools you can have at your disposal as a guitar player. We live in a great time, where you no longer have to spend a small fortune to own one, while newer amps are even more versatile and practical than ever before. The models featured in our chart above are some of the best on the market, although some will appeal to your tastes more than others, as each offers a unique character and tone. But, providing you do a little research, read some reviews and watch some videos of the amps on your shortlist, it’s almost guaranteed that you’ll end up with something you love! I own a Fender Blues DeVille .Is it possible(that is if it isn’t already wired that way)to change the bass,middle,treble and presence controls and whatever else to sound like a fender twin?